2018 is already shaping up to be yet another important year for the world of music. In just two months, we’ve had huge releases from the likes of Migos, Nils Frahm, Justin Timberlake and Moby, and with many more projects on the way from Janelle Monae, CHVRCHES, and with a bit of luck, Kanye West, Arctic Monkeys and Childish Gambino. 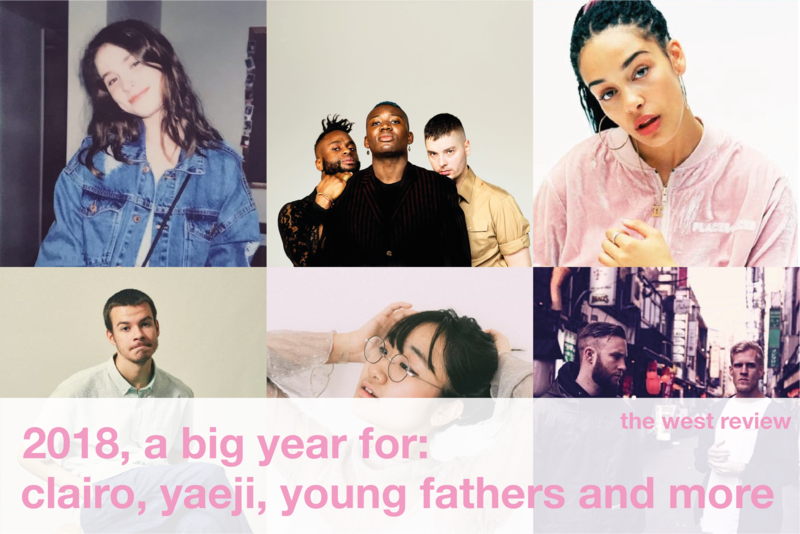 Aside from the usual suspects, the established and the successful, 2018 is looking to be a big year for the up-and-comers, the rising stars, and the voices of tomorrow. Here are a number of artists who have a big 2018 ahead of them, some you’ll know, some less so. French electronic duo The Blaze have already built up a name for themselves through their music videos, which have continued to receive rightful acclaim throughout the tail of 2017 and into 2018. Flirting with the idea of tropical house, but never quite committing, The Blaze inject a heartfelt soul and soaring ambience into their electronica, which in tandem with their cinematic videos, gives the duo a trademark image and sound, one that’s sure to explode even further throughout 2018. It would be difficult not to know about Snakehips by now, a British electro-hip-hop crossover duo responsible for the Chance The Rapper-featuring hit All My Friends. Besides their litter of pre and post-All My Friends bangers, from remixes of Bondax and The Weekend, to collabs with Joey Badass, MO and Zayn, we’re still waiting on that debut album. 2018 could be the year to catapult Snakehips to super-stardom, with an organic sound and a eloquent list of past collaborators, their first full-length project could be massive. Tarantina is perhaps the most elusive artist on this list, with not a whole lot of information out there at the moment. I was introduced to her through Leftfield, with whom she performed with throughout their Leftism tour last year, filling in for Toni Halliday on their iconic track Original. But besides her infectious, mysterious stage presence and powerful vocals, a quick flick through her Instagram shows that she’s far from just a voice. With a diverse feed of mediums and experiments draped across her account, from painting to animation, photography to film, Tarantina is clearly a multi-talented artist with a lot to offer besides music. Stay tuned. You may recognise the name Jorja Smith from the Brits 2018, in which she scooped up the Critic’s Choice award, that is if you looked beyond Dua Lipa winning most, if not every female award on offer. You may also recognise Jorja from highbrow collaborations with Drake, Stormzy and Kali Uchis to name a few. She also came fourth in BBC’s Sound of 2016, and was nominated for Best Female Artist at the 2017 MOBOS. And Jorja’s already achieved all this, with just one solitary EP under her belt. The future’s already looking bright for the 20-year-old, and 2018 could be her defining year. Young Fathers are of course nothing new, having already toured with Massive Attack, and having released a string of credible full-length projects. From their breakthrough EP series, to a Mercury Prize-winning second album, through to soundtracking Danny Boyle’s Trainspotting 2, Young Fathers have already achieved considerable success. But in 2018, Young Fathers have an opportunity to skyrocket further, both commercially and critically, with the release of their fourth studio album Cocoa Sugar, an album that’s already spawned two outstanding singles- Lord, and In My View. Their own UK tour sold out in weeks, they’re still supporting Massive Attack across Europe, and their latest project is to be released any day now (9th March), who knows what 2018 will bring for Young Fathers. Clairo’s breakthrough moment came via the self-produced, self-shot, self-written, self-perfected viral video Pretty Girl. Catching the lo-fi wave with expert timing and execution, Clairo’s sound encapsulates the fresh new wave of artists being branded as bedroom pop. But outside of her understated production, relatable songwriting and meme culture-inspired branding, it’s her infectious personality and character that oozes amongst every note, chord and vocal. Pretty Girl tells you everything you need to know about Clairo, and with 10 million views already behind her, who knows where 2018 will take her. Hip-hop with house influences? House with a hip-hop tinge? Or is this actually trap music? English lyrics? Korean lyrics? Fashion icon? Whatever Yaeji is, and whatever she’s trying to do, she’s already onto a winner. Her organic unmatchable sound has already earned the Korean-American a catalogue of admirers, with her breakthrough EP (‘EP2’) even sneaking into a number of album of 2017 lists. If any more tracks of Raingurl’s calibre get released throughout 2018, who knows where Yaeji will end up. At just 19-years-old, Rex Orange County has already achieved more than most 19-year-olds could ever dream of- two well-received full-length projects, a sold out 13-date international tour, collaborations with Tyler, The Creator, and a second-place finish in BBC’s Sound of 2018. Blurring the lines between a multitude of genres, from folk and indie, to jazz and soul, through to lo-fi and bedroom pop, Rex Orange County’s swooning songwriting and awkward humble personality, make for one of pop music’s true rising stars, and one that has a huge year ahead of them.